First, an ENTERPRISE story by Vivek Tiwary and Artist TK. 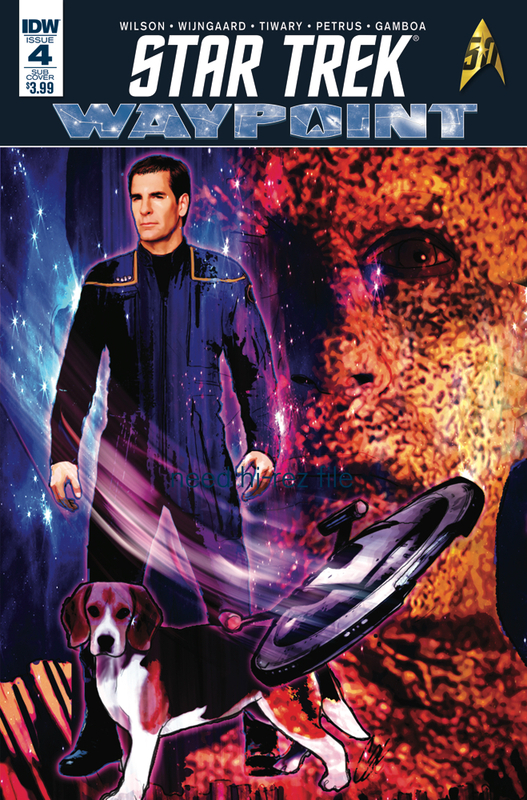 Captain Archer's pet beagle Porthos takes center stage in a Temporal Cold War tale that sees the beloved pooch traveling back in time in order to save a young Jonathan's life. Then, a NEXT GENERATION story by Scott Bryan Wilson involving double trouble - quite literally - for an away team when they explore a strange new planet!